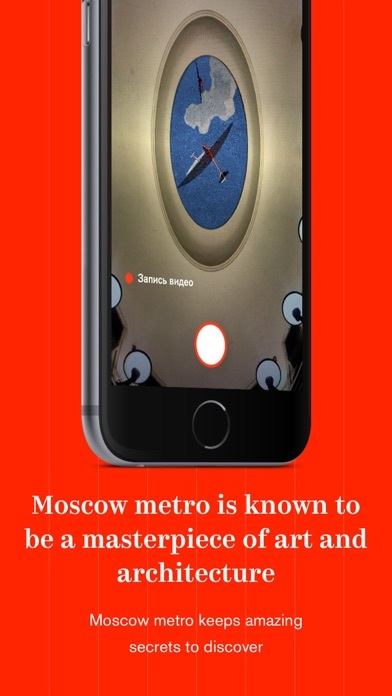 The app is a part of “Hello Moscow!” edutainment platform on Moscow transport. 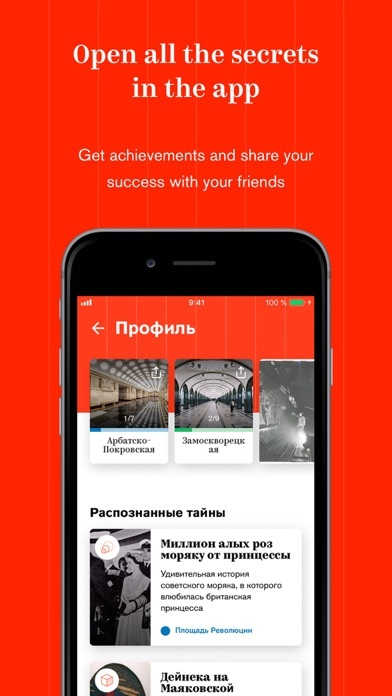 – it’s a city app allowing to reveal the mysteries of the Moscow underground through latest technologies. From the moment of its launch in 1935 the Moscow underground has been said to be the most beautiful in the world. Almost all its central stations are recognized as cultural heritage. Hundreds of mosaics, bas-relief, sculptures adorn the vestibules and stations, but very few know who made them and who were the prototypes, or why the stations have such names, or what stories hide behind the underground doors. 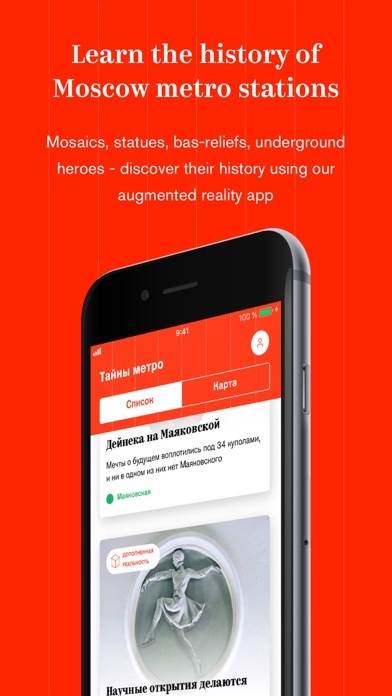 The application is designed for everybody living or travelling in Moscow and interested in its history or culture. It allows to search and recognize objects using augmented reality, learn new facts, get achievements and share them with friends. Photos courtesy: Multimedia Art Museum, Moscow, source: russiainphoto.ru; Moscow Underground archives; unsplash.com.